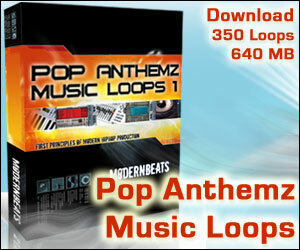 Make Beats | Learn to make your own beats & how to produce beats with Hit Reports. 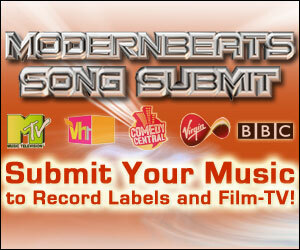 In addition to learning how to produce beats with Hit Reports, you can now Upload Music to Record Labels via ModernBeats Song Submit. Learn music production techniques from Hit Talk’s Music Producer & Music Industry Interviews from some of the top producers, songwriters, & recording artists in the business! Gain crucial insight & knowledge from today’s hottest talent such as DJ Khalil (Credits: Dr. Dre, Eminem, Jay-Z), Scoop Deville (Credits: Snoop Dogg), Wayne Wilkins (Beyonce, Jordin Sparks), Jack D. Elliot (Credits: Britney Spears, Taylor Dane), Far East Movement, Cali Swagg District, & many more. What exactly is a Hit Report? A Hit Report is a downloadable tool for aspiring music producers to improve their music production skills, music compositional skills, and music theory skills - all in one. Hit Reports provide a visual experience to learning production that is both comfortable and easy for software-savvy aspiring Hip Hop producers. For more information on Hit Reports, watch our Hit Talk Video. Most aspiring music producers try hard to make beats as powerful & compelling as the r&b, hip-hop, & pop hits heard on radio or topping Billboard. However, the challenge to produce music & beats on this level is staggering. Without the proper skills, most music producers don’t stand a chance of making it in the music industry in any true sense. For those few producers with the desire, ambition, & commitment to learn far more than their musician peers & to produce beats on an above-average radio-ready level, Hit Talk’s Music Production Hit Reports & online Music Production Tips are for you. Hit Talk’s purpose is to discuss hits on Billboard & teach musicians how to produce beats on the same level by analyzing a hit song’s format, arrangement, chord progression, melodic phrasing, mix frequencies, track-by-track automation, & rhythm programming. By studying Hit Talk’s Hit Reports, musicians get to see a complete breakdown and analysis of hit Billboard songs & learn the same in-depth tricks, tips, & techniques used in today’s top singles! Through step-by-step tutorials, illustrated instruction, & a series of Hit Report Maps covering complete analysis of how a song was produced, Hit Talk’s Hit Reports will show you how to make beats to be proud of & advance your career as a music producer.